Moses Bliss is a Fast Rising Multi Talented Gospel Artist, who lives in Abuja Nigeria. He is a seasoned Worshipper, Prolific Song Writer, Dynamic Vocalist and Plays Several Instruments. 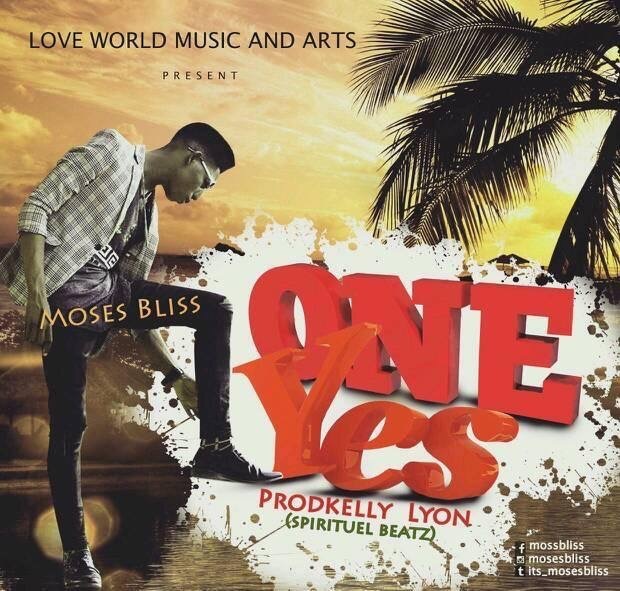 After the Release of the Hit E-NO-DEY-FALL-MY-HAND , that is still enjoying airplay in several Radio Stations and toping the charts, Moss Bliss is back with ONE YES, according to him One yes is beyond a song it’s a Message to the world, it’s a song of Hope, “Everybody may give you a No but ONE YES from God is Enough for you” . He has performed in on several platforms in and out of Nigeria. He has Shared the stage with alot of Gospel Greats like Sinach, Tye Tribbett, Samsong, Sonnie Badu, Buchi, Tim Godfrey, Joe Praise etc….